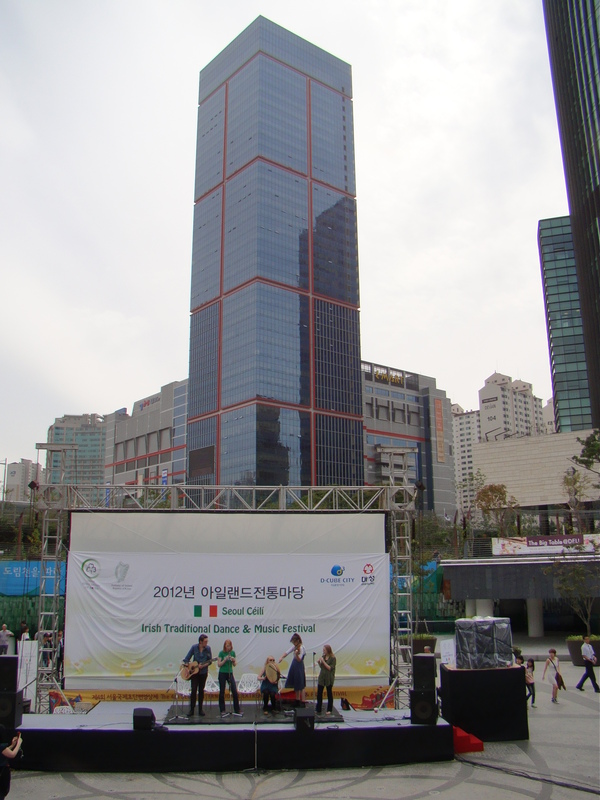 On Thursday night I was invited over to the Embassy of Ireland in Seoul for a special event. 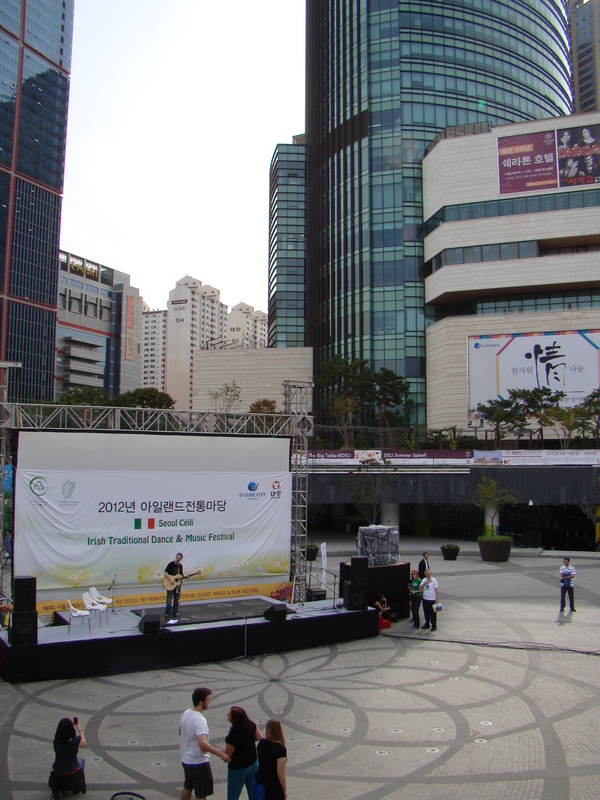 It had been a while since I’d been there, having been in on occasion helping promote Irish Association of Korea events, and for other reasons. I brought the family with me this time, and remembered to take a shave and a shower beforehand. The visit was worth the effort. 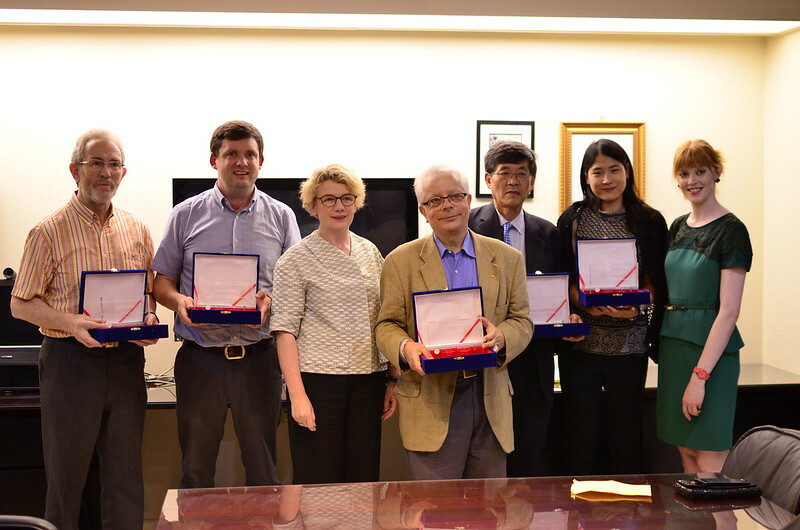 Myself and five other individuals were to be awarded for our contributions to the promotion of Irish culture in Korea. While I was undoubtedly the shortest tenured recipient of the award, the company I kept held no qualms about my presence at the ceremony. 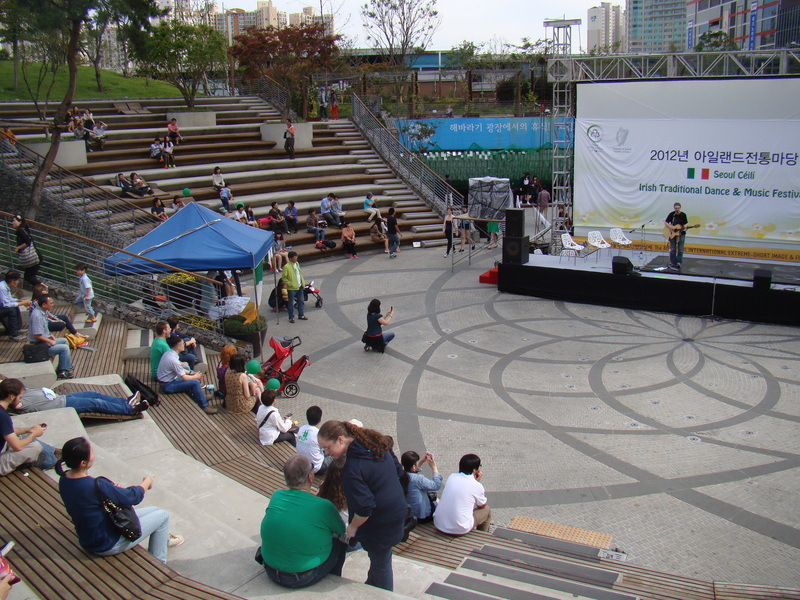 Among those were Tom Coyner, who chaired the organisation for seven years and has his share of stories from over the years, Byung Guen Chun, a Korean gentleman who was encouraged into participating over ten years ago and is still an enthusiastic member, Sean Conneely, a Irish Columban missionary who has made Korea his home for over forty if not fifty years, and the daughter of Mr Lee (that’s what we’ve always called him, and I can’t find his business card to use his proper name, so sorry…) who is the owner of the Dublin bars in Gangnam and was unable to attend. 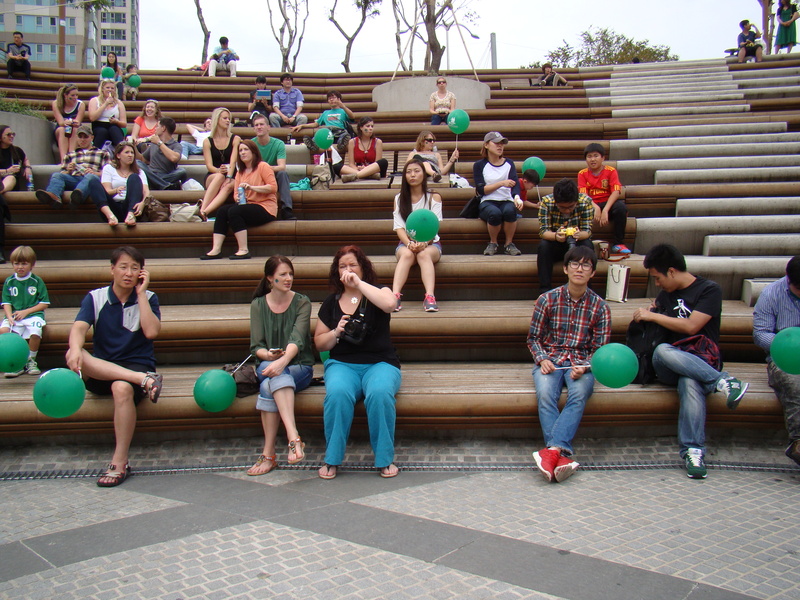 Bernard Hughes, another long term Irish expat and contributor to the IAK, was unable to attend also. It was a very simple ceremony. 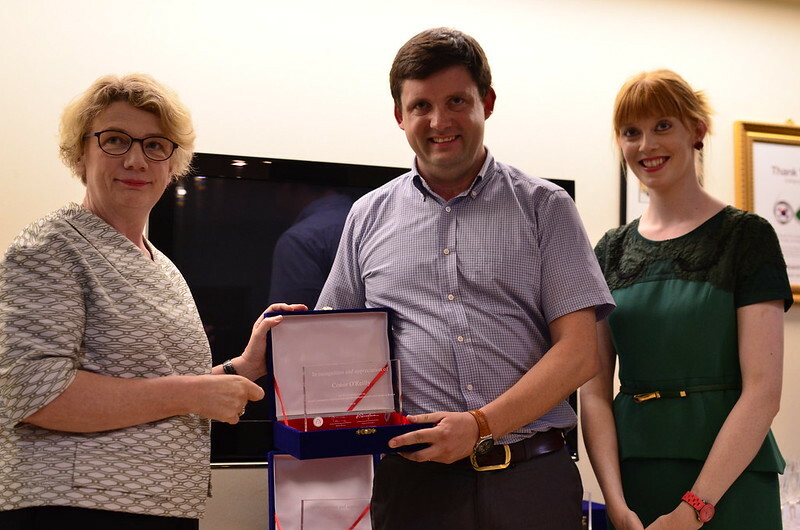 The Irish ambassador to Korea Aingeal O’Donoghue and IAK Chair Shauna Browne handed out the awards, after each of which a few words of praise were lauded and then the obligatory photographs, all washed down with a bottle or two of champagne. It was a nice but short opportunity to catch up with some old friends, some of whom I am likely not to see again for some time. I can’t really emphasise how much this award means to me. 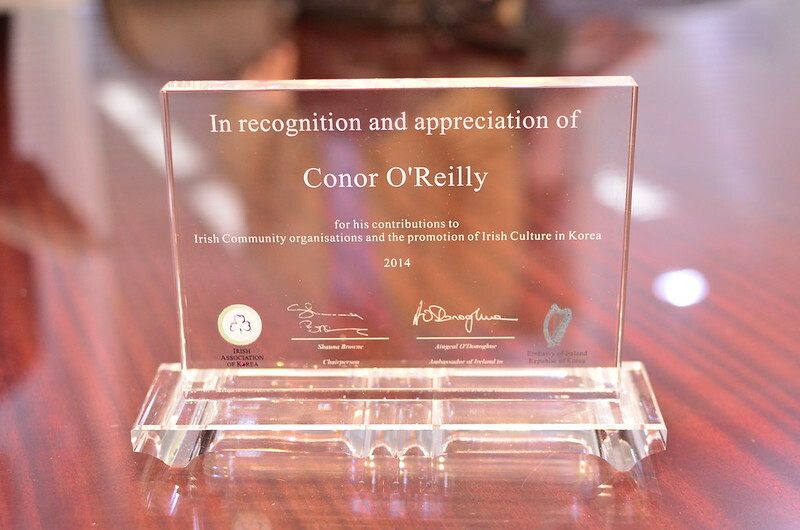 While there’s the obvious recognition that is attached to the commendation, that it comes from my peers in both the IAK and the embassy is an indication that the work individual contributions we, and by we I mean all those who have gone before me, have done over the year building up the Irish Association of Korea to the organisation it is today has not gone ignored. The past year has seen a few notable departures in the committee but I think that this change allows for new faces to step up and embrace the challenges I feel are worth the effort. 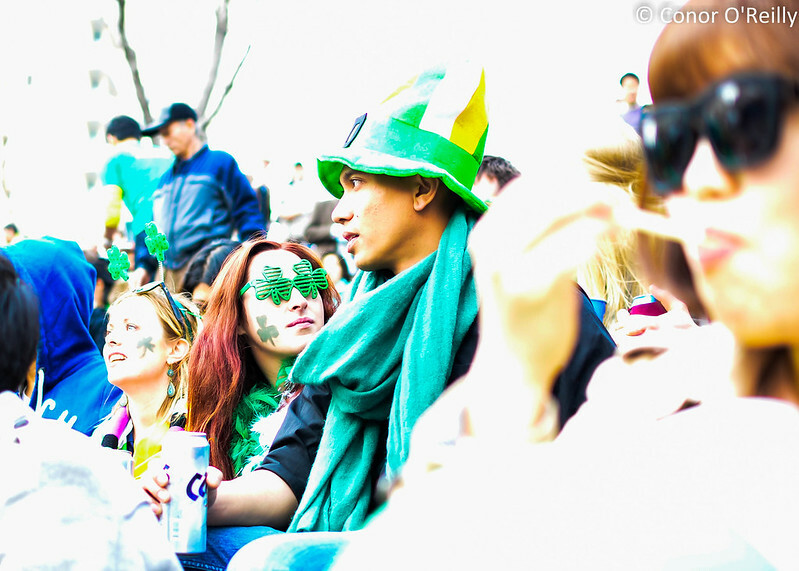 I couldn’t have imagined myself organising as many St. Patrick’s Day festivals as I did when I first came to Korea, and in the end look where I ended up just before I leave the country over nine years later. This is a perfect indicator of how important it is to take every opportunity that you stumble upon, embellish it, nurture it if it’s worth it, and then let it grow with you. And while I know I travelled half way around the world to do this, it’s not necessary for everyone. You just need to be able to make the opportunity yourself, but I’m not going to tell you what those opportunities are. That’s the part that’s up to you. 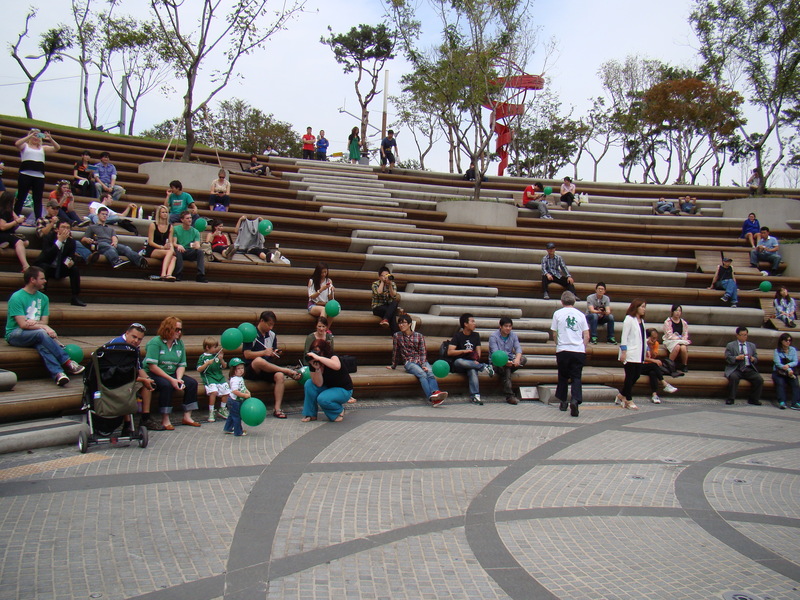 The location is the same as is used for previous events, including the 2011 and 2012 Céilí, and of course the two previous St Patrick’s Day festivals. The event is free to enter, and everyone is invited to get up and try some of the dances out, which are very easy going with not so difficult steps. If you’re thinking Riverdance, think again. 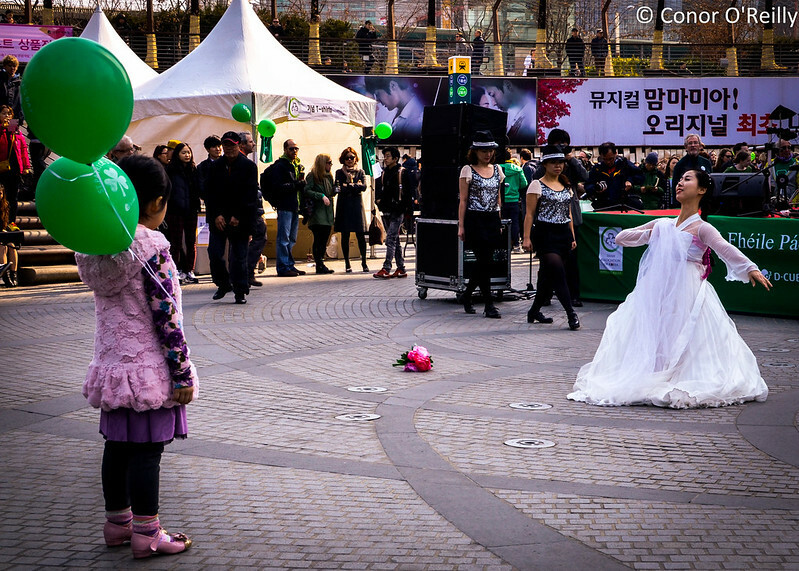 While there will be some displays of the high kicking and fast tempo dancing which the Broadway best-seller have popularised, céilí dancing is a much more laid back and social occasion. 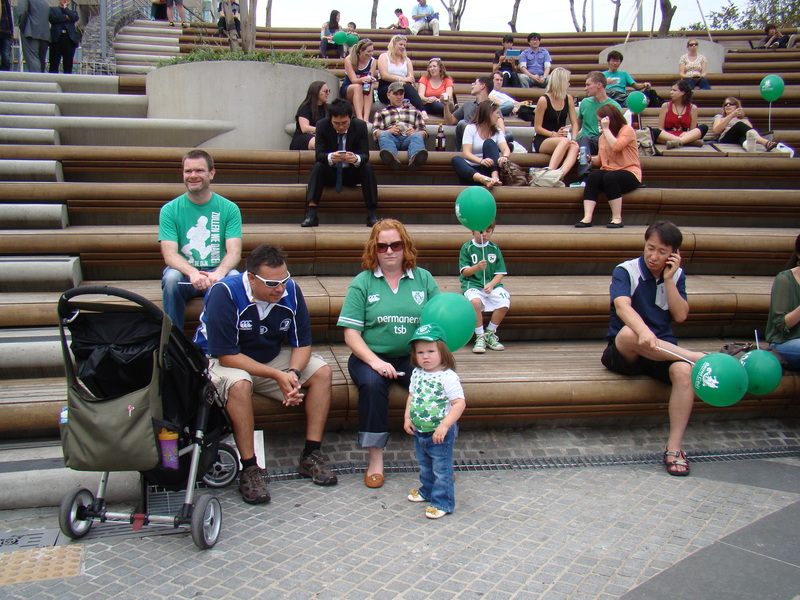 As well as dancing there’ll be live Irish music, and some face painting and balloons. While it has been a very hot and humid summer, the temperature will have drop to a more reasonable heat in September, and we may even been lucky enough to have a light breeze (but no promises). 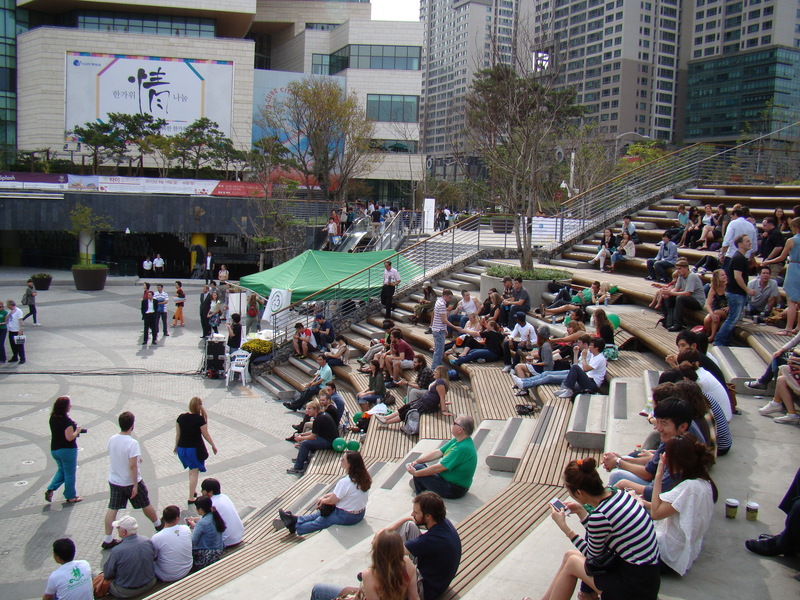 The Céilí will take place in the D-Cube Plaza, which is at Sindorim Station on the blue (line 1) and green (line 2) subway lines. Just come out exit 1 and you won’t miss us! If you haven’t heard already, I’m chairman of the Irish Association of Korea, and every year around this time we organise a small get together. 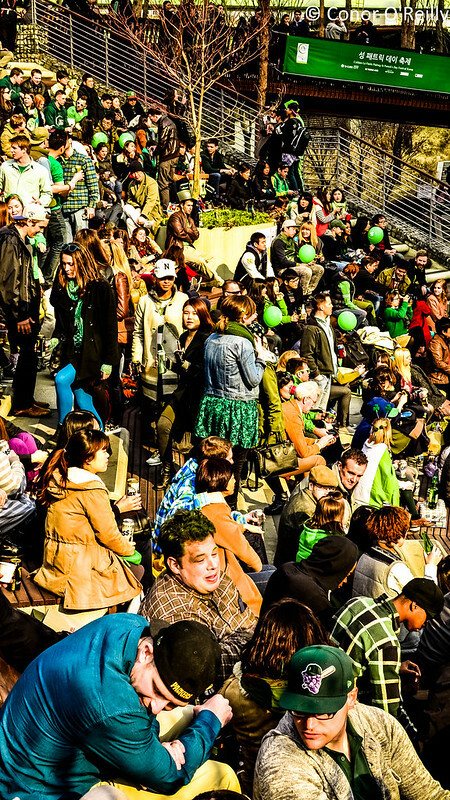 You might have heard of it, we call it Saint Patrick’s Day. I won’t blether on too much about it as my brain is exhausted at the simplest mention of the event, however give this link a click and you’ll find all the info you need about the event. For some photos from last year’s event, please take a look at my good friend Tom Coyner’s shots from the festival. 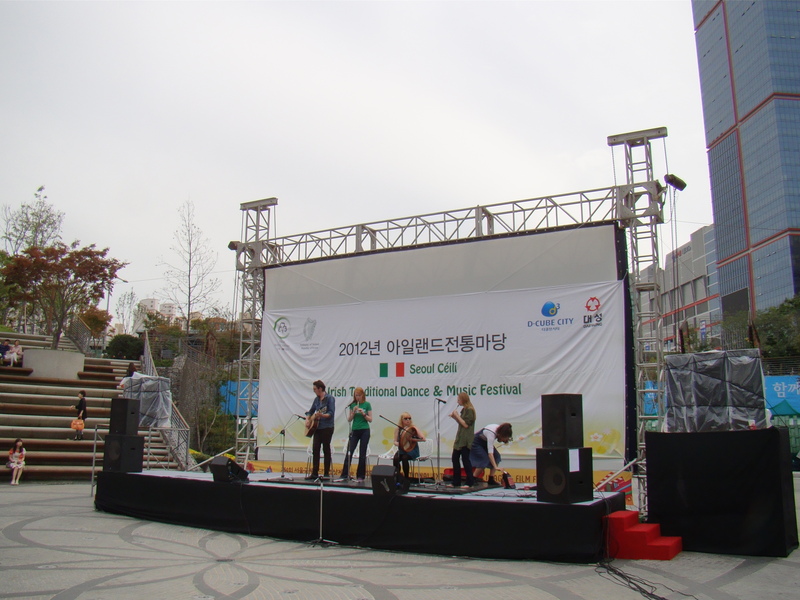 Tom is also knee deep in this wee event that is taking place in Seoul and is celebrating Irish and Korean links.